If you want to keep your HP audio in good condition and bring you the best possible sound experience, you should download or update the latest correct version for your HP audio drivers in your Windows computer. You can download the HP audio drivers manually from the HP support center or from the audio device manufacturer. Before getting started, you should know clearly the audio device and the operating system information in your HP laptop or notebook. 1) Go to the device manufacturer website, for example, you can go Intel download center. Here we’ll take the HP support center as an example. 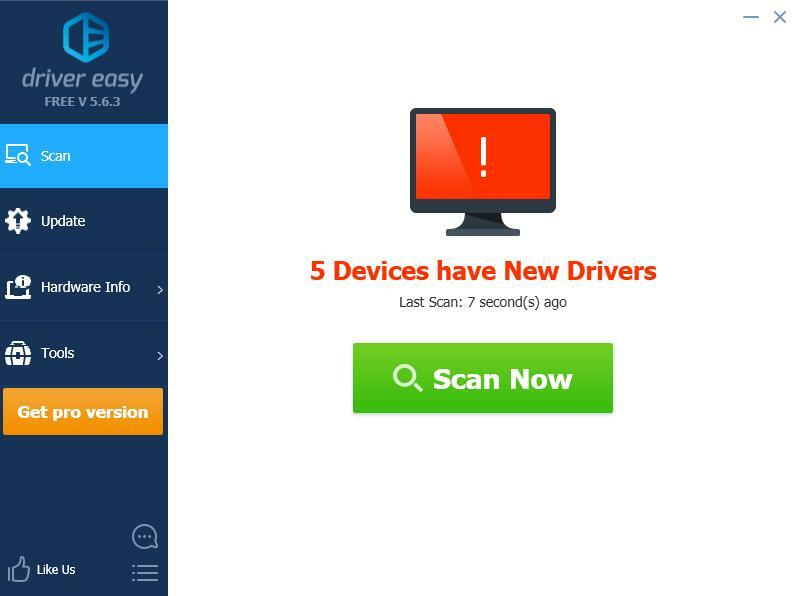 2) Search for the device driver that you want to download from the manufacturer’s website. 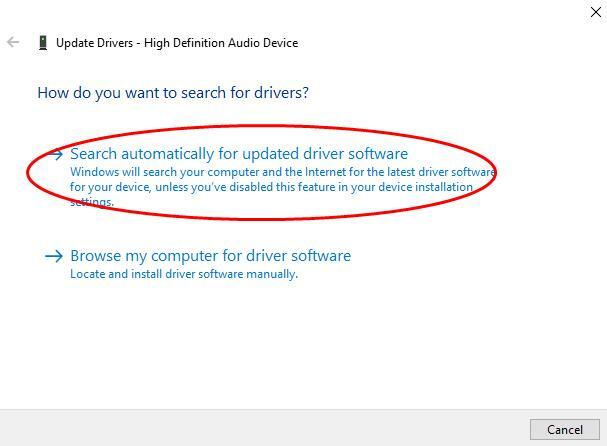 3) Go to the drivers page, and select the latest correct version of your audio device, and compatible operating system (in my case it’s Windows 10 64 bit), and download it. 4) Run the downloaded file, and follow the on-screen instructions to Install the driver in your computer. This method requires time and computer skills. If this method doesn’t work for you, don’t worry. We have other solutions for you. 3) In Device Manager, double click Sound, video and game controllers to expand it. 4) Right click on your audio device, and select Update driver. 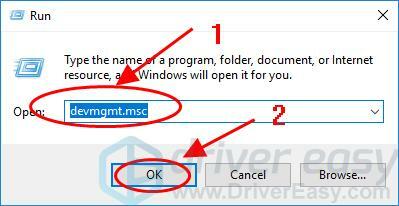 5) Choose Search automatically for updated driver software, and follow the on-screen instructions to finish. 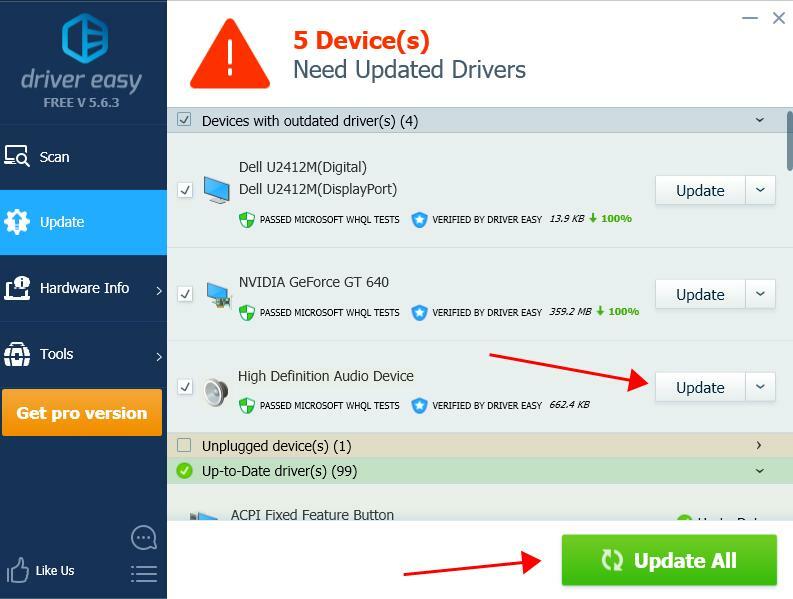 If you don’t have time or patience to manually download your HP audio drivers, you can also do it automatically with Driver Easy. 3) Click the Update button next to the flagged audio device to automatically download the correct version of this driver (you can do this with the FREE version). Then install the driver in your computer. 4) Restart your computer after updating, and you should have your HP audio drivers up to date. That’s it. Hope this post comes in handy and helps in downloading or updating your HP audio drivers in Windows.